Charleston: Do Black and Palestinian lives matter? Do Black lives matter in America? After the murders in Charleston, the historic debate about race in American history rages on a new level. Do Black lives matter to Jews? Another longstanding debate stretching from the Civil Rights era to the present. Yet of late a new and dangerous element is being reintroduced into the discussion by BlackLivesMatter and Jews of Conscience that threatens to resolve the issue in a definitive and negative way. The issue revolves around Jews and Palestinians: If Palestinian lives don’t matter to Jews, how can Black lives matter to Jews? No matter the progress in race relations in America, most Jews interact with African Americans in stylized settings with symbolic backdrops. Martin Luther King Day, Black churches and political solidarity events dot the American landscape. This is happening in Charleston right now. In the coming days we will see more of this kind of interaction. Jews mourning the murder of African Americans is heartfelt. What’s missing are the real lives of African Americans. Few Jews interact with African Americans out of the public glare, in their daily lives. There is a long history of establishment Jews admonishing Black leaders on the very issue which would make the connection of Jews and Blacks in America real. Reverend Jeremiah Wright is the most recent Black church leader to be called on the carpet for “interfering” in the discussion of Israeli power and its claims of democracy. Years earlier, Jesse Jackson felt the brunt of the Jewish establishment for relating to Palestinians on a political level. On the international scene, the South African archbishop and Nobel Laureate, Desmond Tutu, is outspoken in his defense of Palestinians and his description of Israel as practicing apartheid. As with Wright and Jackson, Jewish leaders often describe Tutu in patronizing terms as misguided and worse. Often all three are vilified as anti-Semites. Why are Jewish leaders so adamant about disciplining Black leaders on the issue of Israel-Palestine? For many years African Americans have wondered aloud whether the way Jews treat Palestinians gives insight into the true nature of the Black-Jewish alliance in America. By acknowledging Palestinian lives as mirroring their own, Black leaders have a lever to begin the discussion of the Black-Jewish relationship on a new, more equal terrain. Most recently, the issue of Jews, Blacks, Israel and the Palestinians has been addressed by Keith Feldman in his book A Shadow over Palestine: The Imperial Life of Race in America. In a fascinating account of Jewish-Black relations, Feldman traces the vision of the Black Panther party and the thoughts of James Baldwin and June Jordan who linked the unfulfilled promise of liberal democracy in the United States with the perpetuation of settler democracy in Israel and the possibility of Palestine’s decolonization. Feldman, as has others have before him, also traces the disciplining of these connections by American and Jewish power. In sum, the Jewish establishment seeks to keep the Black critique of racism in America and Israel on a conceptual level. Kept on the conceptual level, the symbolism of democracy trumps the real lives of Blacks and Palestinians. In an interesting confluence, what the Jewish establishment demands of Black leaders, it demands of Jews. Keep Israel conceptual rather than real. As a symbolic marker in Jewish life, PalestinianLivesDon’tMatter. The task of a new Black-Jewish solidarity is to move that symbolism from the conceptual to the real. Only by focusing on democracy and equal rights in America and Israel-Palestine can Blacks and Jews come closer to that elusive goal where Black and Palestinian lives matter. The answer is that in America, Black lives do not matter. Has anyone on TV referred to the shooter as a ‘thug’? In Israel, non-Jewish lives do not matter. Since Israel is not so much a country as it is a giant cult, anyone against the cult is an infidel to be massacred. This angle on Black/Jewish interaction as conceptual rather than real, strikes me as all too true. I know that when it comes to people from the American heartland – where hardly any jewish person is known, except from television screens – and biblical legneds, I often find myself having to mention that israel, to them The Holy land, is a real place where real people live and have all kind of problems. Even those who went to Israel, say on a church tour, have a hard time thinking of it as a country like any other, just with much bigger and more intractable issues. Which kind of connects to what Ellis says about the jewish establishment interacting with blacks, as a conceptual group, as a subset of America, one they supposedly empathize with, because, well – Jews do that sort of thing (ethnic sympathy). But do they really empathize? can they? can they connect to the lives of black people beyond the racial dimension? can they connect to them as an oppressed class, when they themselves belong to the upper class (at least now)? Sometimes I wonder whether the racial issue for many of the well-to-dos on the left (not just jewish) is just a convenient escape hatch – something to latch onto so they don’t have to admit there is serious class divide going on everywhere in the country, not even under the surface, not just somewhere in the south or in Texas or somewhere in an inner city left to languish, scorched, on the bone fire of Capitalism. How many people really look beyond what’s most visible in, say, NYC? MY COMMENT: Remember to celebrate our proud American heritage this Fourth of July. Vintage minstrel poster displaying four actors in black face for the Big Minstrel Jubilee. Consists of portraits of Carroll Johnson, Tom Lewis, Geo. B. Mack, and Ed. Howard, all in black face. This vintage poster dates to 1899. For the secular religion known as Zionism to endure, real Israel must be replaced by a manufactured metaphysical Israel. To a degree, virtually all societies reject empirical reality in favor of cohesive mythology. Or they collapse. World of Zionism-craft II. Absolutely, Zionism as one of those participatory imaginary-world computer games.Good idea. Keep a lot of people out of trouble. Moving from the conceptual to the real will be resisted strongly by those with something to hide, in this case the bankers. Bankers have been profiting from both sides of wars for centuries. Lincoln worried about the buildup of financial power from the Civil War profits. Whether it might take control of the government from the people. War profiteers try to shut off discussion of their affairs from any direction, regardless of race or religion. Thanks, its important work you do generally and here in specific. One request is not to use black and Jewish as necessarily distinct. You mean white Jews and/or ashkenazic Jews and African-Americans, but you should say so, at least once at the outset, since we Jews do come in other colours. Ah yes, it wouldn’t be right to leave out the big effect the Jews-of-color community has on US politics. A good effect, I hasten to add. Like taking the right kind of pill. Mock away Mooser, its what your good at and the return you want on your investment of what 20 – 30 hours per week here? (for humanity’s benefit of course). Ellis, on the other hand, is actually trying to make a positive and informed statement about something other than his own ego chatter, so I thought he would be receptive to something pretty much every Jew of color thinks when they hear someone talk about black Jewish relations as if they are separate and distinct categories. It actually does matter that someone writing from an anti-racist point of view not write something that is conceptually racist. Jews = white is both untrue (black lives certainly matter to black Jews and who exist in the US, in Nigeria, South Africa, Israel). Moreover, using Jew as a synonym for white is the reason why these really annoying things happen to those of us who share African American identity and the Jewish religion/culture/heritage. …. and all he has to do is write “white American Jews” one time at the beginning of his essay. I am somewhat sympathetic to your sensitivity on this issue, however, you need to clear up whether this is a significant issue as regards the article by Marc Ellis or if it is merely a personal problem for you. For example, I am under the impression that Jews make up a miniscule portion of the Black community and likewise Black Jews are a very small minority of the American Jewish community, and virtually nonexistent among the East Coast Jewish elite. Now, if I am wrong, then you have a point. Otherwise, you don’t, personal pique notwithstanding. You dispute this? As a “Jew of color,” are you involved in the affairs of the Black community? Or do you consider yourself primarily a Jew who happens to be mixed race, focusing primarily on your Jewish identity and relative privilege which attaches itself to that identity? So instead of a person of privilege, you think of yourself as a victim twice over? Lighten up, Ben. For Marc Ellis to overemphasize the exception which proves the rule, he would thereby de-emphasize the rule and the importance of the reality he is discussing. Not since Sammy Davis, Jr, at any rate. Not the most pious of Jews, however, he did take pride in his “Jewish jeans” imported from Israel. Moan, groan. I disagree that whether Ellis should make clear he is talking about white Jews and black relations hinges on whether black Jews have any power in the American Jewish community. In fact, that black Jews are indeed marginalised (out of existence even here) and a small minority within American Jews is precisely why someone who is anti-racist should not engage in a conceptually racist statement which leads to actual racist events — such as being mistaken for the help (because after all Jews are white, right?) If Marc Ellis is going to speak as an informed anti-racist about Jewish issues, he should know this. Keith — I don’t think victim and privilege is relevant here either. This is clearly your issue not mine. I have stated elsewhere repeatedly that I know as well as you (if not better) how privileged American Jews are, though there was some discrimination towards Jews up until about the late 1950s in some areas such as education and housing, summer resorts etc… This is not surprising because while anti-Semitism was endemic to Europe from the Middle Ages through the Enlightenment – it was not innate or essential to European culture. I was privileged, my relatives who were shot by the einsatzgruppen in the ravine outside Stari-Sambor, not so privileged. 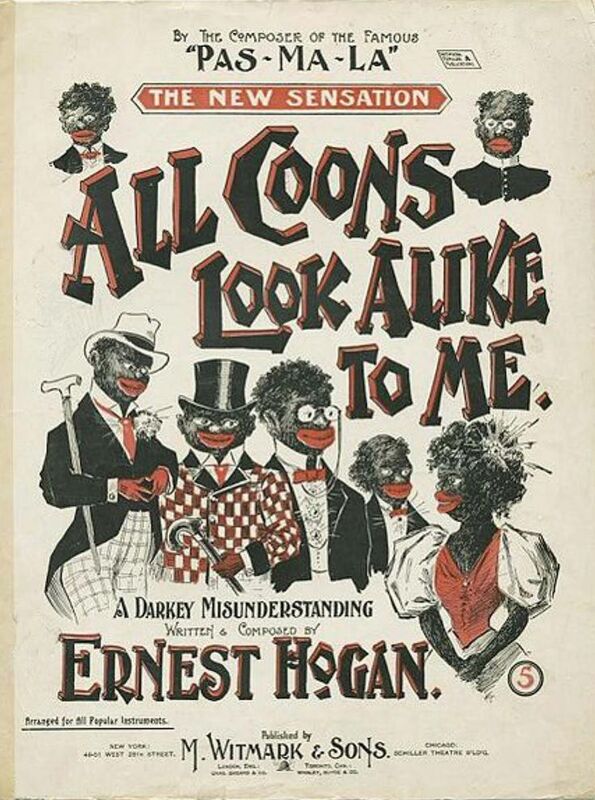 My African American relatives were both victims and over-coming of victimhood. All told, they did comparatively well having left the South earlier than the great migrations. But I don’t want to bore people here with my life story. I have some real issues with this article. The use of the term Jew in various ways throughout the articles is both wrong and to my mind racist. Israel is a racist state. There can be no debate about that. It is racist both in concept and practice. To ask or suggest whether all Jews should, or do , feel one way or another is too large a set. Thank you Geezer. I was struck by the same and find the use the the term Jew in Ellis’s article confusing (maybe because it is wrong as you say) and offensive . We’re talking about a colonial enterprise that is sort of operating as a modern state ( needy, dependent, paranoid) not people around the world who identify themselves as Jewish . Oh yes Ellis. Black lives matter, and for America-they ought to matter very much. Palestinian lives matter too though I would say that commentaries on MW are much more attuned to Palestinian lives then your average American. Armenian lives matter and so do Turkish lives. And Yazidi lives…do they matter? Yes. How about the lives of the remaining Oglala or Ainu of Japan? They matter. Does a red-neck racist hill-billy’s life matter? I think it does. Mexican, Zimbabwean , Thai, Mongolian, they all matter MEllis. And so it must be asked-WTF is your point? That lives matter? One can take any two groups of people and conflate their particualr struggles together for some political effect. Still-in the real world you are simply trying to pound a square peg into a round hole. I would imagine the victims of the Charleston shootings would feel they have about as much in common with the Palestinian struggle as they do with the Kurdish struggle for national aspirations. In other words-on MW people may be thinking of the two situations as one but the people who matter in the A.M.E. have made no such connection either in the past or present to your plea. You have lost your ability to appropriately filter different aspects of the human condition from your narrow view of Zionism. Too much hand-wringing and mental mind games. Get real. If you want to compare the relatively unique case of Palestinian struggle-surely you could come up with better examples-but then that has never been your intention at all. Dabakr, you should watch out. I get the feeling the Moderators have it in for you. Have they deleted or edited a single one of your posts lately? Can we get a list of the plethora of influential and/or Billionaire Jewish Israel First donors who are “black,” not “white”? And, also a list of those Jewish donors and or influential American Jews who have specifically identified as white? Oddly the author raves about the dear empathy between Blacks and Jews, but nothing like that about Palestinians and Jews. 1. I’d love to see the author’s proof that there exists a single Jewish person who believes that Jews do not have a right to live. 2. Unless they have been brainwashed into conflating Israel with all Jews, all Jews with Israel and loyalty to the “Jewish State” as an essential part of being Jewish, readers should not be astonished that there exist many Jews who support justice, accountability and equality instead of Jewish supremacism in/and a supremacist “Jewish State”. In today’s Forward. Writer Max Landaw discusses what Hitler’s Mein Kampf teaches him about Charleston. A reader responds with a new question, what does Jabotinsky’s racism teach us about Israel? I have never read either book so this was an eye opener. Both were extreme racists. I accept it was a different time and age but they were very sick men. Disgusting and vile. The article could easily be describing Zio-supremacism, from how it “draws on almost 150 years of pseudo-scientific and political racism” to the racist ideas it espouses, the propaganda it employs and the (war) crimes it has committed to achieve its goals. Every Zio-supremacist is a hateful and immoral apologist for this particular form of racism (supremacism). And every Zio-supremacist is a hypocrite for believing that Jews are entitled to do unto others acts of injustice and immorality they would not have others do unto them.